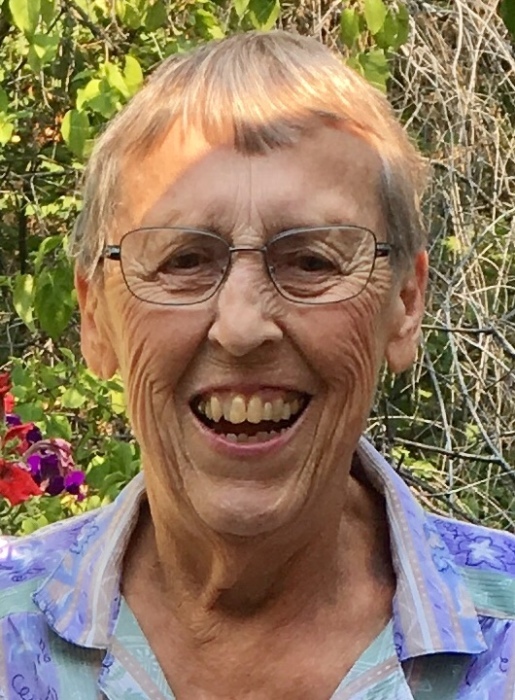 Clara Jane Krieger (also known as Jane) passed away on Wednesday, September 12, 2018, at Samaritan Evergreen Hospice in Albany. Jane was born in Corvallis to George and Doris Dannen. She grew up on the family farm in North Albany, where she and her siblings had a vital role in running the farm. She graduated from Albany Union High School. After graduation, she attended Merritt Davis Business College in Salem, Oregon. She returned to Albany where she went to work for Barrett Bros. as a bookkeeper/accountant. She then moved to Lebanon to work for Jack Lambert Ford as their office manager. She returned to Albany and then dedicated the rest of her working life to raising and caring for her family. Jane married Darrell Krieger on October 21, 1966, at her parents’ farm. They had two children, Terri and Kevin. Jane enjoyed camping and fishing. She loved her rides in the car with Darrell and she loved visiting the Oregon Coast. Jane had a wonderful sense of humor and enjoyed joking with anyone and everyone. Jane was always the happiest when her family was around. Jane is preceded in death by her father, George; mother, Doris; and brother, Clifford. In addition to many friends and loved ones, Jane will be missed by her surviving family, husband, Darrell Krieger of Albany; sister, Donna Brown (Dennis) of Bend; daughter, Terri Miner (Rick) of Albany; son, Kevin Krieger of Corvallis; and grandchildren, Branden Miner, Kyla Miner, Macey Krieger, Carlee Krieger; and great-granddaughter, Paisley Miner. At Jane's request, there will be no services.